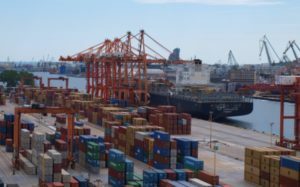 Baltic Container Terminal (BCT), Port of Gdynia, Poland, has successfully modernised its lighting systems and gained the prestigious White Certificates, informs International Container Terminal Services, Inc. (ICTSI), the terminal’s owner. The modernisation of the lighting systems at BCT was completed in late 2016 at a total cost of PLN 420,000 (USD 115,000). In the course of the upgrading, 396 luminaires were replaced by 132 energy-saving LED systems, which resulted in significant energy savings. The level of the achieved energy saving is reflected in the value of the White Certificates, which may be traded on Poland’s Energy Exchange. According to the BCT estimates, the use of the White Certificates will result in a total financial bonus of up to USD 75,000. The Certificates may be traded (sold) up until 2020. White Certificates are awarded by the President of Poland’s Energy Regulatory Office for Energy Efficiency Improvement. This latest achievement follows BCT’s implementation of ISO 55001: 2011 Energy Management System Standard in 2014. BCT is a wholly-owned subsidiary of ICTSI. ICTSI was awarded a 20-year concession by the Port Authority of Gdynia to develop, operate and manage the container terminal in May 2003. BCT’s current annual capacity is 750.000 TEU, with a potential to grow up to 1.2 mln TEU.